I wanted to let you know some changes that I have made recently. For those of you who signed up for my daily blog updates through Google's FeedBurner, there are strong rumors that it will be going away soon. Some of you have already noticed that you weren't receiving updates. In order to alleviate this problem, I have converted all FeedBurner accounts over to my weekly blog updates through MailChimp! 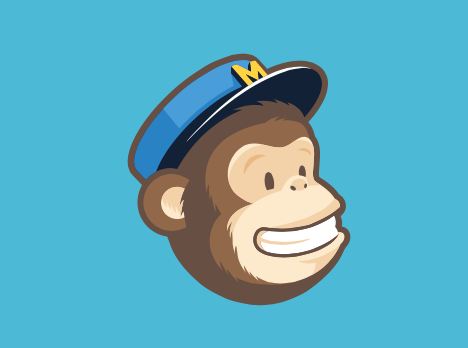 MailChimp is my newsletter service as well as blog updates. But most of my news is communicated through my blog so you should only be receiving my blog updates once a week - Monday mornings. Some of you are still receiving the daily FeedBurner posts. There is no official word as to when they are shutting down. If you would like to be removed from either list (or both - gasp!) you can do it yourself or simply let me know and I will be happy to do it for you. 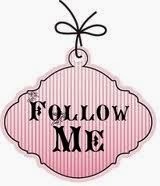 I appreciate every one of you that follows my blog - whether I hear from you or not, I know you are there! And if you have stumbled on my blog and are NOT receiving weekly updates, you can click on the chimp above or the tag below and sign up today! In June my clubs will be working with our Jubilee Papers! Here are the 12 cards we will be making. 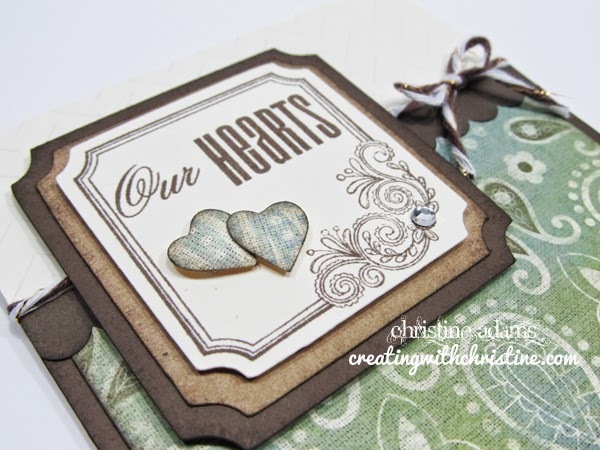 All of the cards are a variation of the pattern found in the Make It From Your Heart book Vol. 1 - pg. 46 (Pattern 27). I LOVE how I can use one simple pattern and easily vary it to make all of these unique cards! 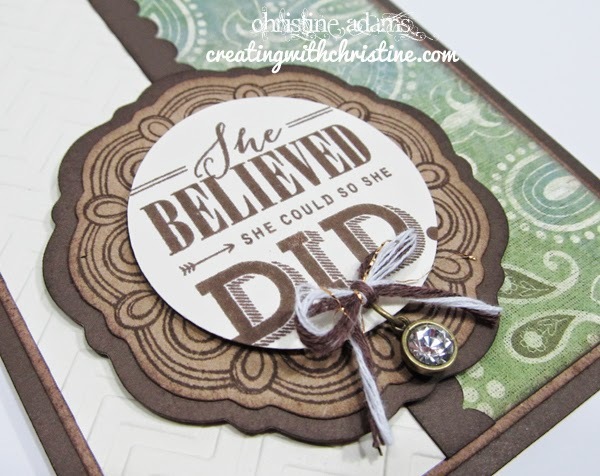 I've also used our embossing folders on all of the cards for a subtle look with a huge impact! I used a very special stamp set that I received at a recent Close To My Heart event that Jeanette designed herself and gave out at convention last year to a select few. I'm SO honored and excited to receive one of these and wanted to share it with you, my club members. This statement represents Jeanette's perseverance and dream for every consultant! She is such a STRONG, loving, supportive woman. And I am so blessed to be able to say I know her and serve under her. 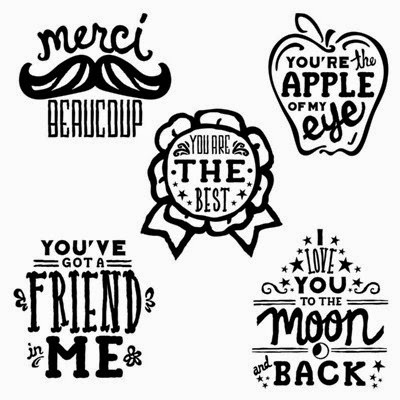 This last set of cards can say anything - birthday, thank you, thinking of you - I just decided to stick with the stamp set I was using and chose a few different sentiments. 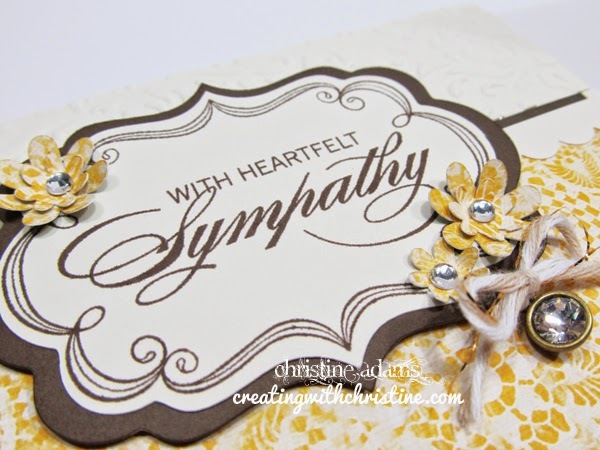 Unfortunately, I need a sympathy card this week. It's nice to have a couple laying around when the need arises. Sometimes it is hard to create when your heart is heavy. 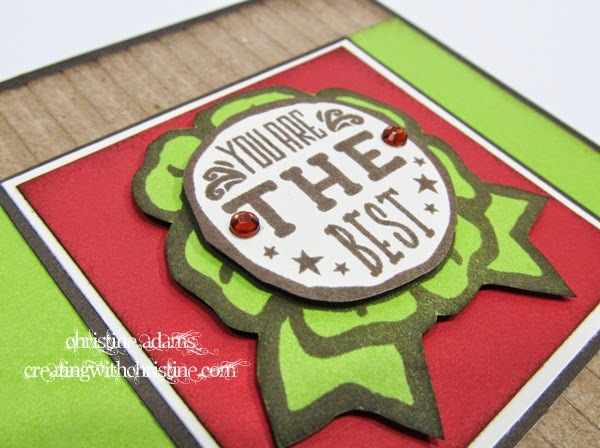 As you can see on the cards above and below, I've added an element from our Base and Bling jewelry line - Rhinestone Charms. 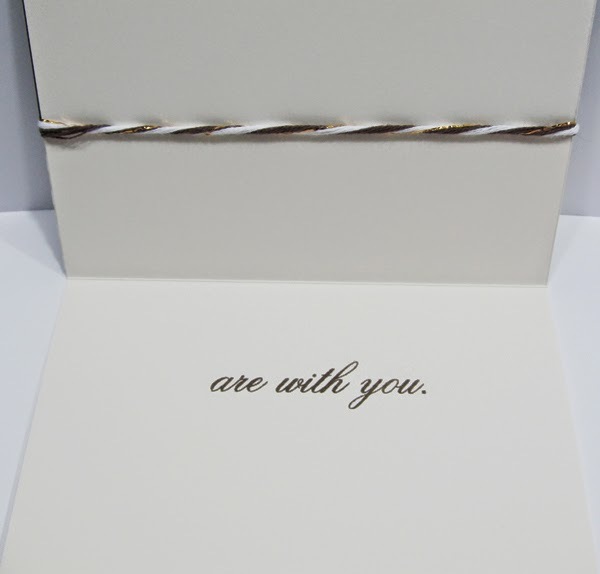 I've simply poked a hole in the card stock with my piercing tool so that they can dangle under the sentiment. I've camouflaged the metal ring by adding some Neutral Metallic Baker's Twine. 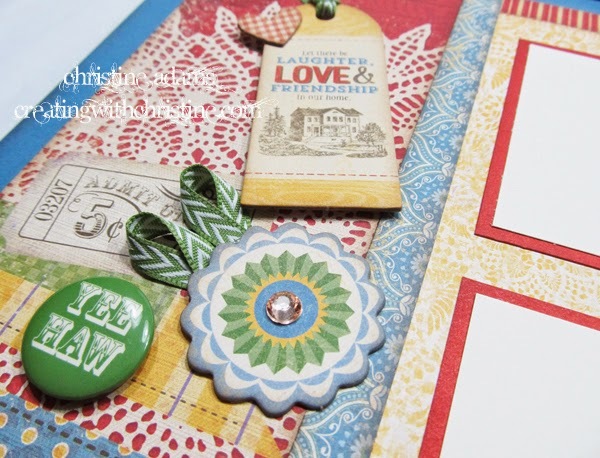 This one coordinates with our Art Philosophy Cricut Cartridge. If you want to join the club and make these cards, simply contact me! I will be ordering supplies this Friday and we will meet to make these on Friday 6/20 at 1pm and 6pm. Next month my clubs we will be working with our celebratory Jubilee Products! 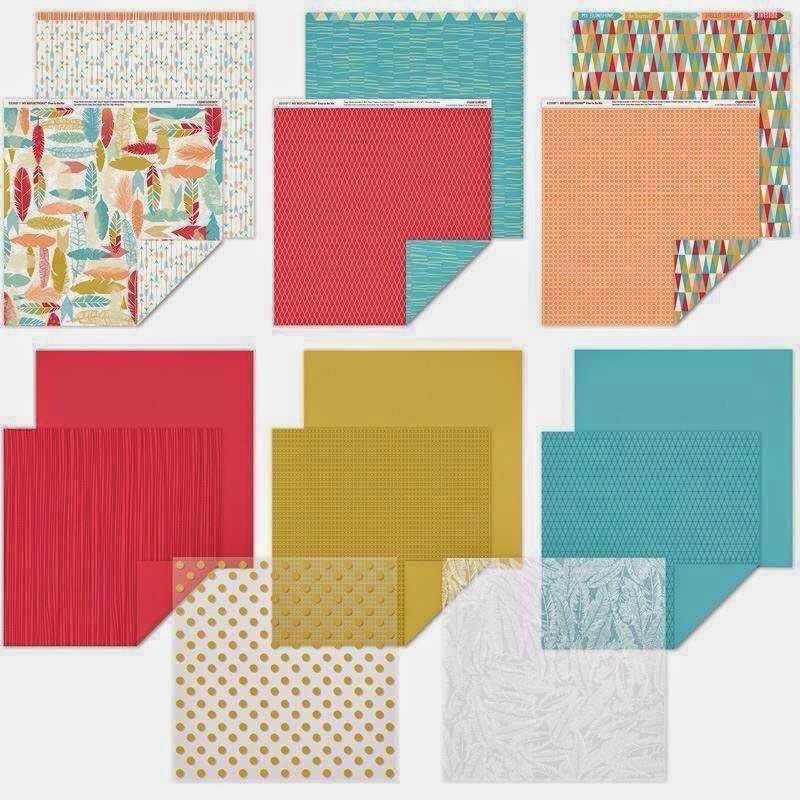 This paper pack speaks county fair, country picnic, Amish Country, or just plain good ol' Summertime Fun! 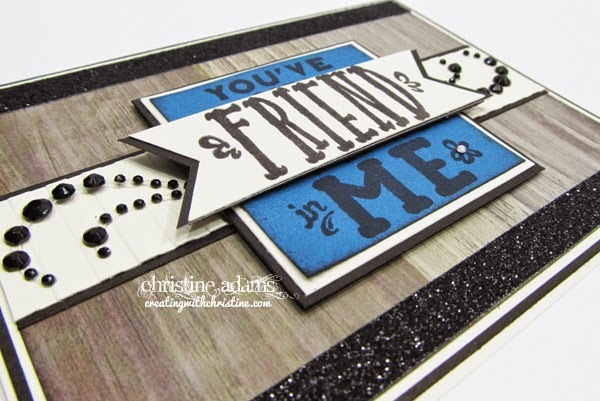 Love the cluster of dimensional elements! 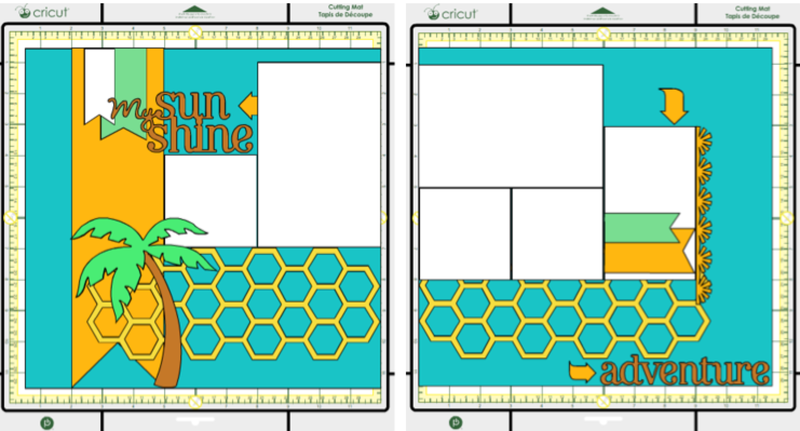 Here is the second layout. Flip flaps would also work well on this layout! I've tucked some of our Topiary Chevron ribbon under the flowers to simulate leaves. I just love the bright, bold colors in this kit! Would you like to join us at club next month? 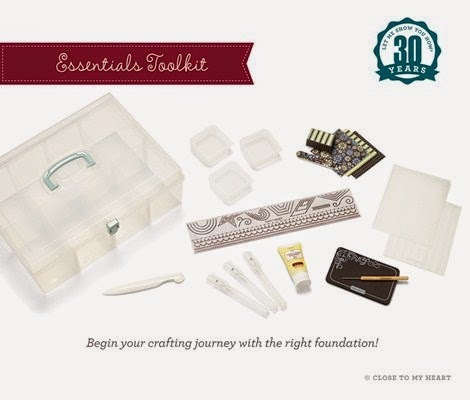 I will be ordering kits this Friday and we will meet to make these on Friday June 20th at 1pm and 6pm. Contact me if you'd like to join us! 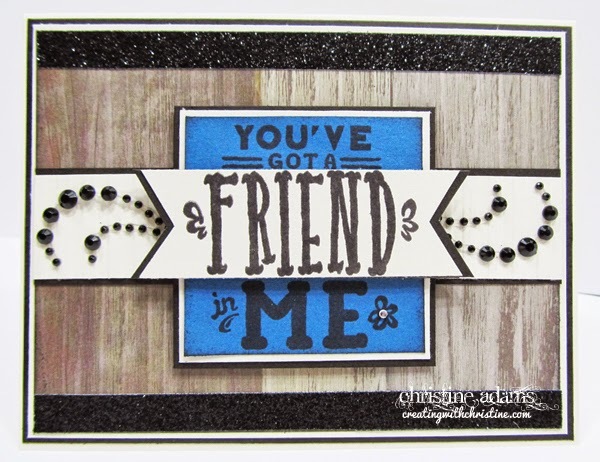 This month's Stamp of the Month is such a fun set! It retails for $17.95 but can be yours for only $5 THIS MONTH ONLY with a qualifying $50 purchase. 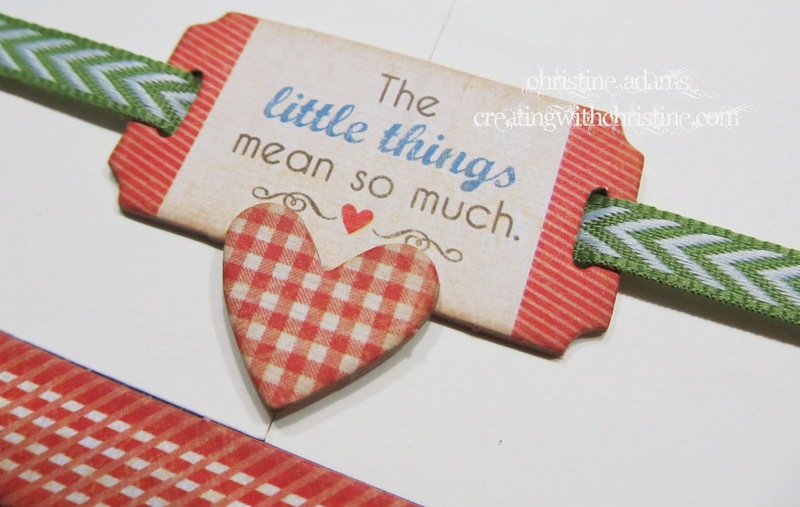 It's so quick and easy to create with this fun, funky set! Be sure to get yours before it's gone! 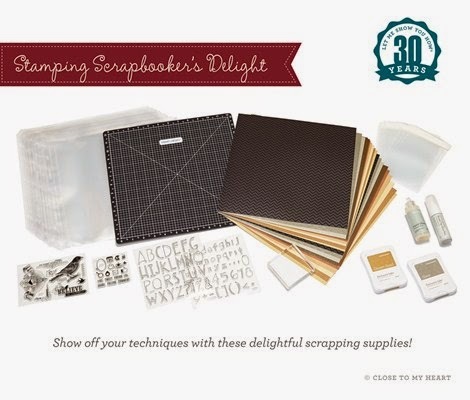 Happy National Scrapbooking month! Celebrating treasured memories and special people in your life is something WE celebrate everyday! But now we have a National holiday to remind the world how important this "hobby" is and all the fun they are missing out on! 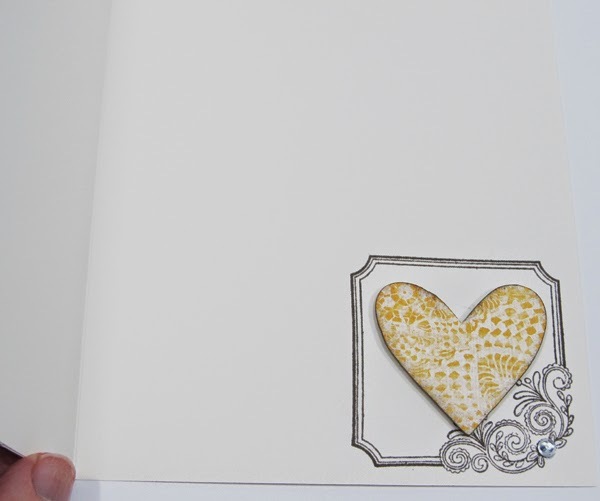 To help you celebrate, Close To My Heart has a very special paper pack along with a workshop designed with layouts and bonus cards that includes cutting guides and instructions! 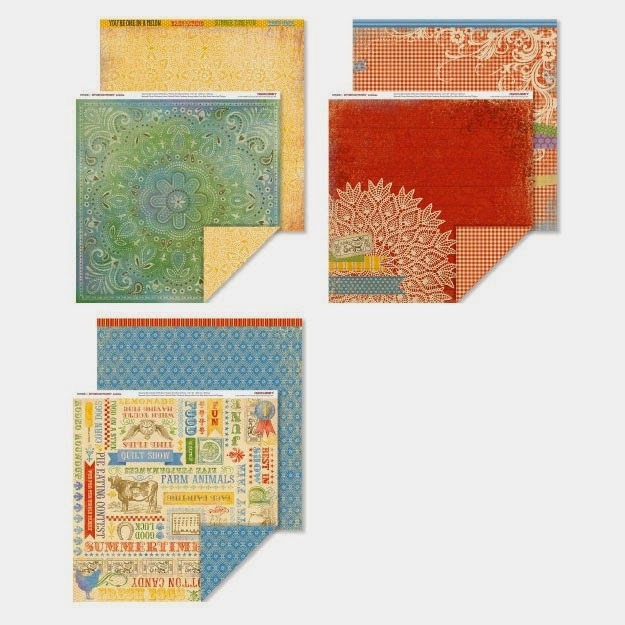 During National Scrapbooking Month in May, you can get the Free to Be Me paper collection for just $5 with your qualifying purchase of $50. 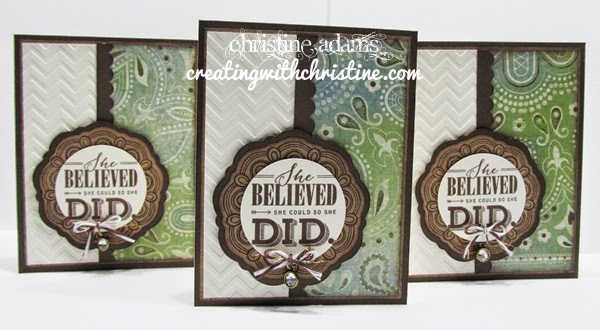 The paper collection features exclusive printed cardstocks, vellums, and BandT Duos™ and, with a retail value of $11.95, is a fantastic deal for products you can’t get anywhere else. Plus, with your $50 qualifying purchase, you will also qualify for the May Stamp of the Month for an additional $5 (retail value $17.95)! This means May is the perfect month to double up on promotions, getting the paper collection for $5 and the May Stamp of the Month for $5—that is a savings of nearly $20! 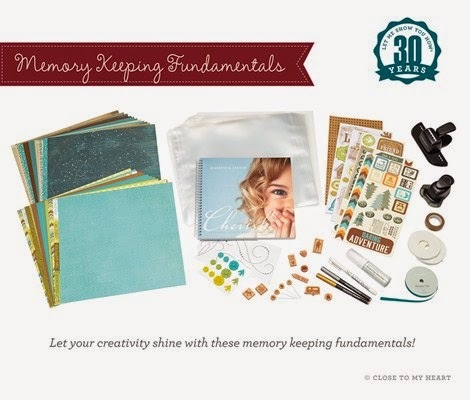 So make sure to get your Free to Be Me paper collection in May for just $5 and let your creativity take flight! 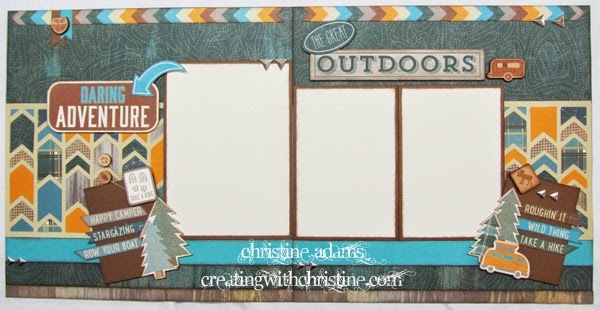 This month my clubs will be creating outdoor layouts using our new Timberline Papers and accessories! 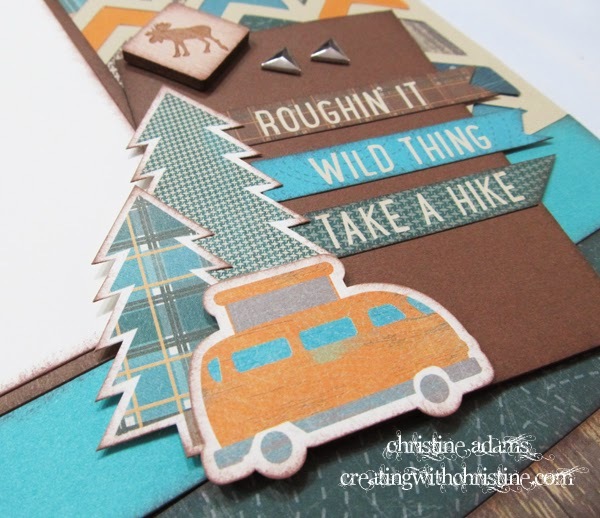 This first layout was designed by the very talented Joanne Walton! 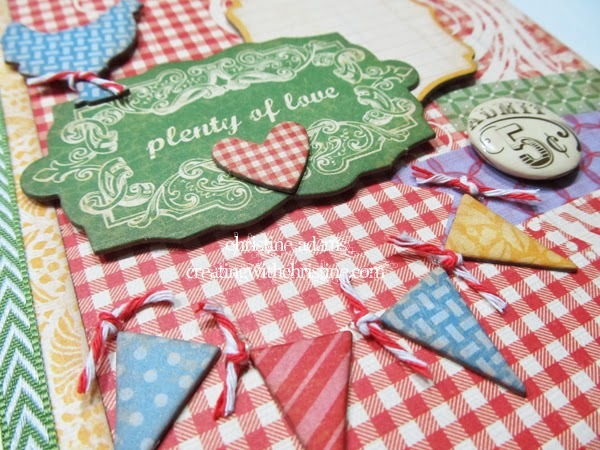 I love the simplicity of adding triangle scraps to the base page to create a beautiful almost quilted background! Genius! 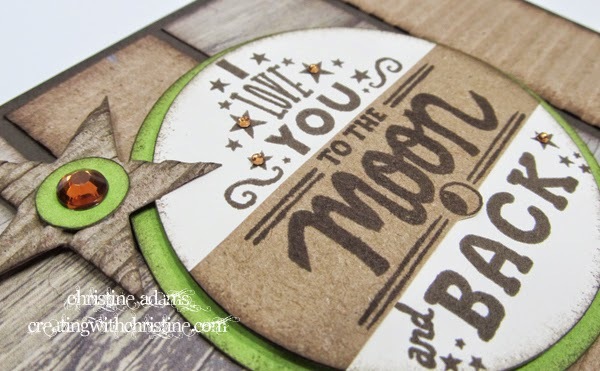 The Timberline Assortment includes wooden shapes that have been burned or etched with designs! 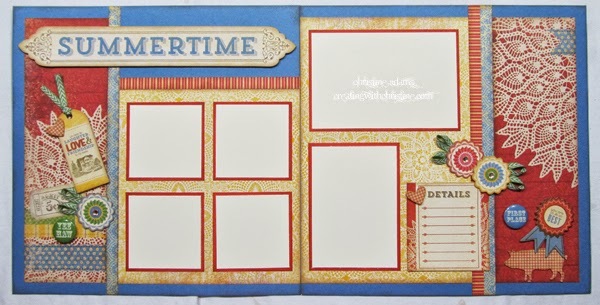 Ink the edges if desired or just add them to your layouts as is! 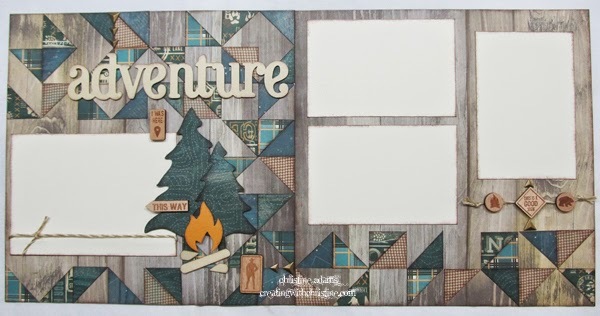 The Adventure title, trees and fire images were cut from our Artbooking cartridge. Such a simple but perfect addition to this layout! 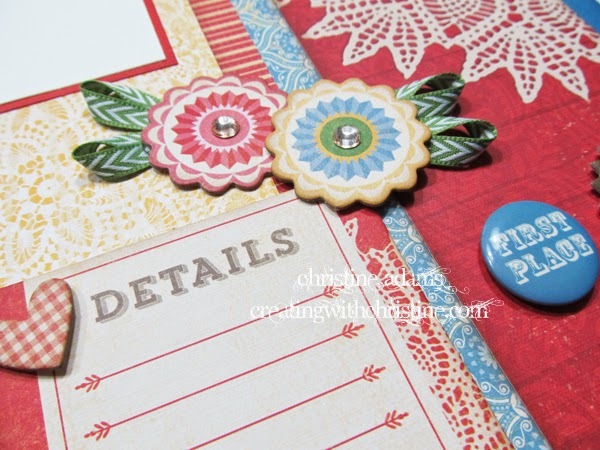 The coordinating Stickease in this kit are so cute! Love the camper! 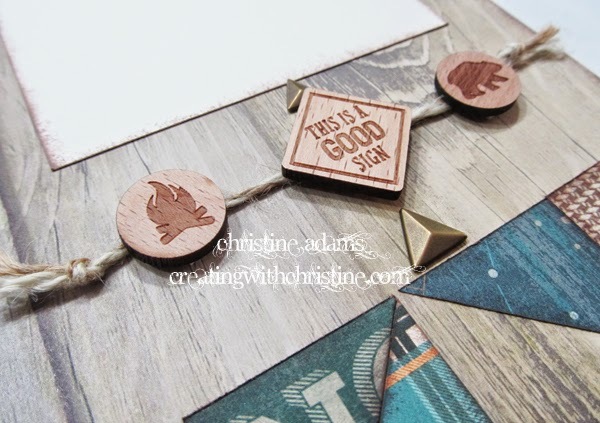 The Timberline Assortment also include wooden shapes on pins - perfect for tucking into foam tape under an image. 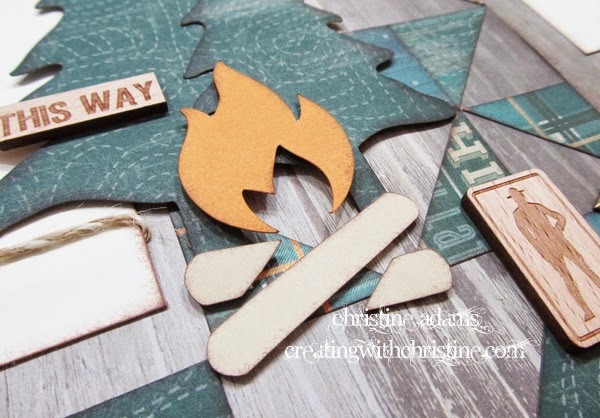 Would you like to make these layouts too? It's simple! Kits start at only $15. Contact me to JOIN THE CLUB and start earning rewards today! We meet once a month and always have a lot of fun! 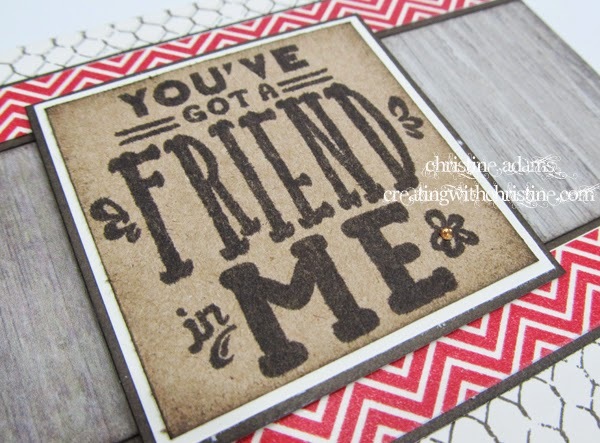 Our stamp of the month for May is called "You've Got A Friend" and boy is it cheerful! 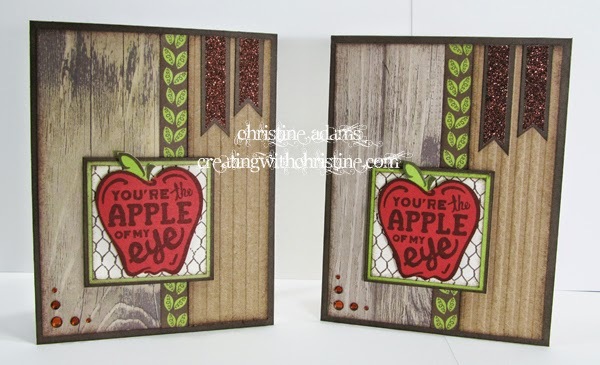 I thought the whimsical fonts and fun sayings would lend itself perfectly for a more rustic or masculine set of cards this time. 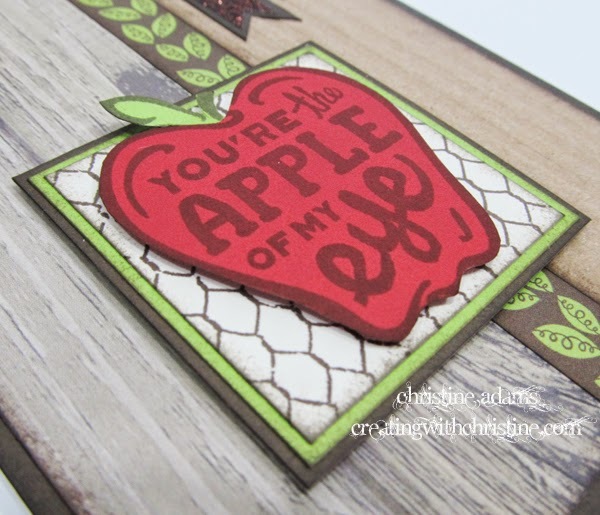 By adding some of the woodgrain paper from our Timberline kit, some Kraft Cardstock, and a pop of Pear, Ruby, and Colonial White Cardstock here is what I came up with! 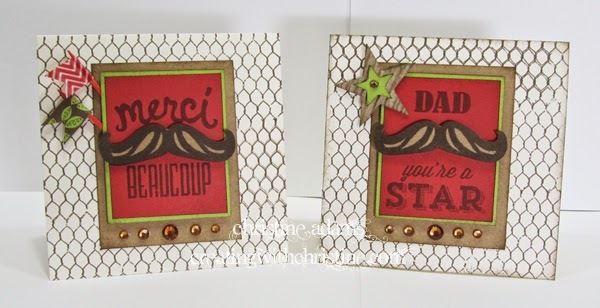 This next card can be a funky thank you OR a Father's Day Card! 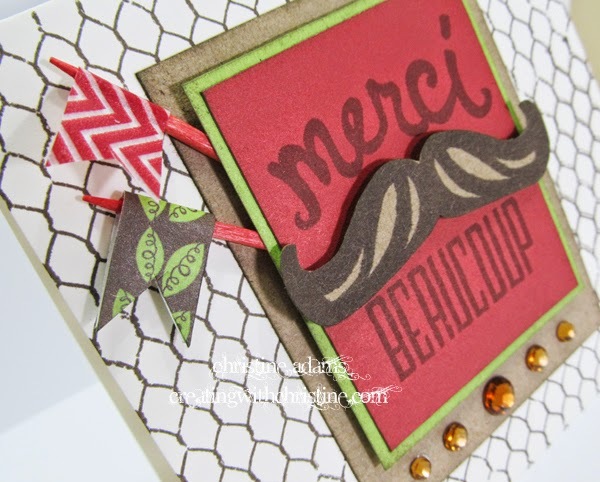 I used the chicken wire background again and some of our Ruby Chevron Washi Tape on a toothpick for a flag! LOVE how you just fold over and it sticks to itself! 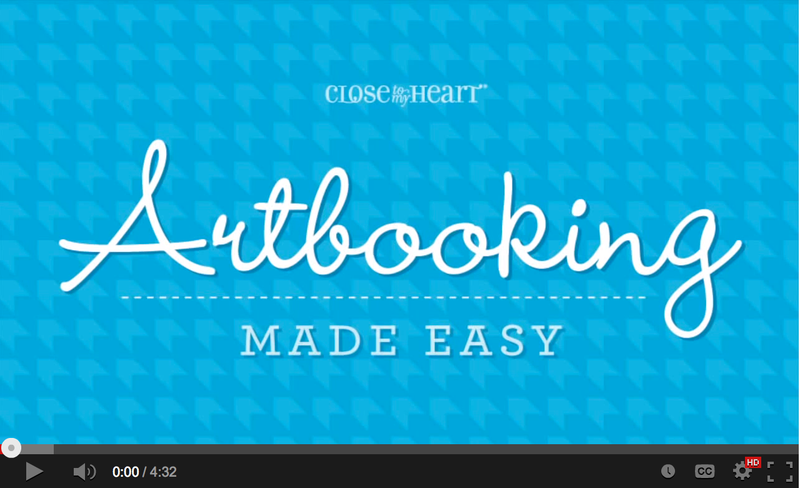 SO easy to work with! 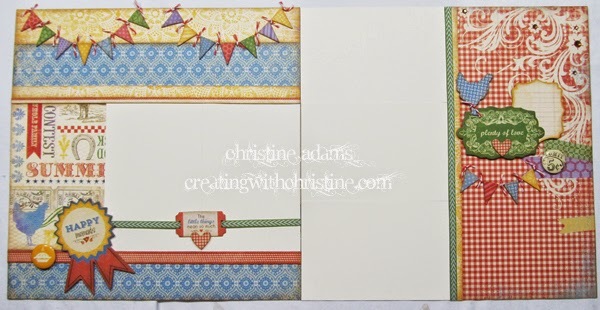 This one is so simple, but I really like the pop of color the Pear Cardstock provides. 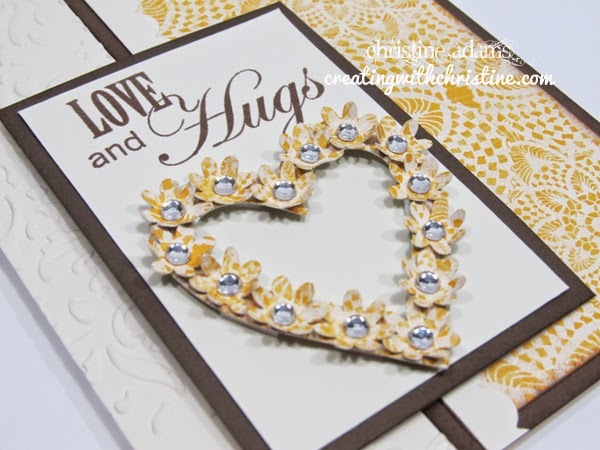 I've also added some of our Brown and Tan Sparkles to the cards. 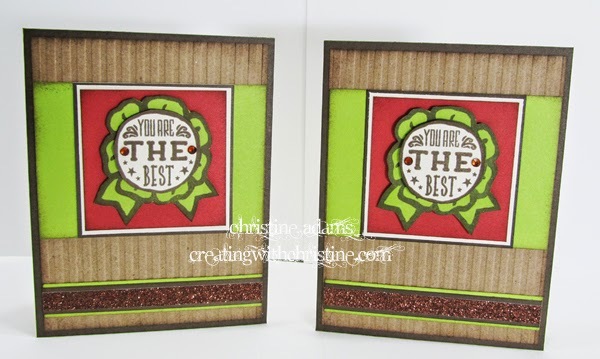 This one features the chicken wire background on the card base and some more Ruby Chevron Washi Tape! This time I have applied it to the top of Colonial White Cardstock so the brightness shines through on the white chevron lines. It really looks like fun, funky paper! 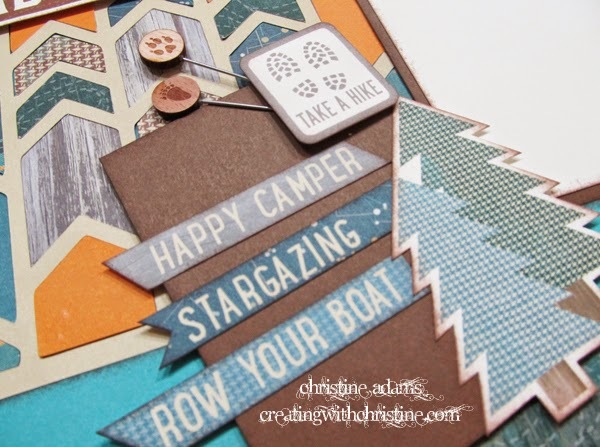 And finally this last card features our Kraft Cardstock once again embossed with our Stripe Embossing Folder - it gives it so much character and added texture! And I've added a little Bronze Shimmer Trim to the bottom. 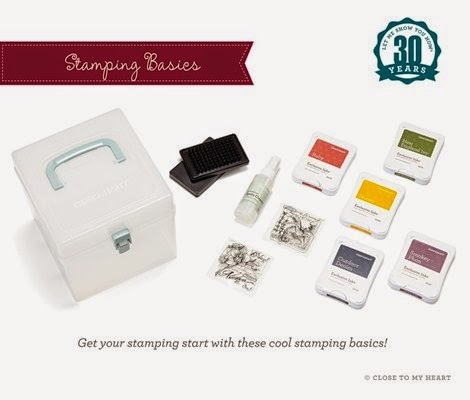 This fun, funky stamp set retails for $17.95 and is only available during the month of May. BUT, with a $50 purchase it can be YOURS for only $5! Not sure what to purchase for $50? Here is a supply list for making the above cards. Some items you may already have! 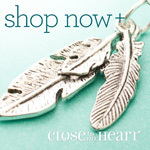 Click here to start shopping and save BIG!